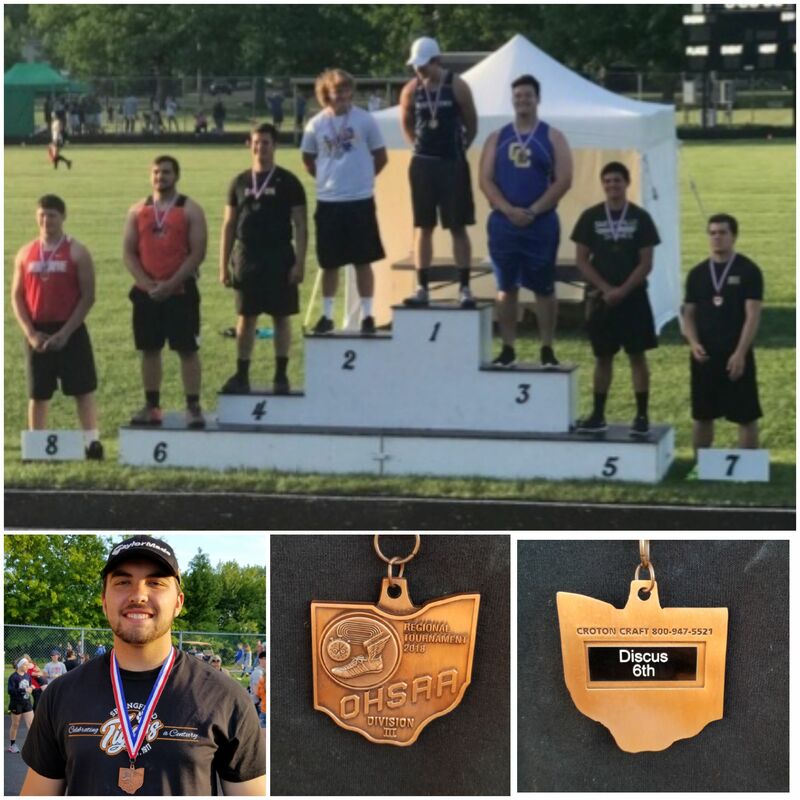 Ben Chaszeyka placed 6th in the discus tonight at the OHSAA Division III Regional Track & Field meet. Garrett Walker qualified in both the 100 M & 400 M races. Garrett set a new school record with his time of 11.09. The previous record of 11.14 was held by J Himes ’68 & J Kosek ’95.